I've joined forces with some of favorite women and mom influencers on Instagram to give ONE of you the luxurious and stylish Kate Spade leather satchel bag pictured. With the long, cold winter we've been having I could not be more excited to be looking toward warmer days ahead by announcing this NEW Instagram giveaway contest which just went live today! 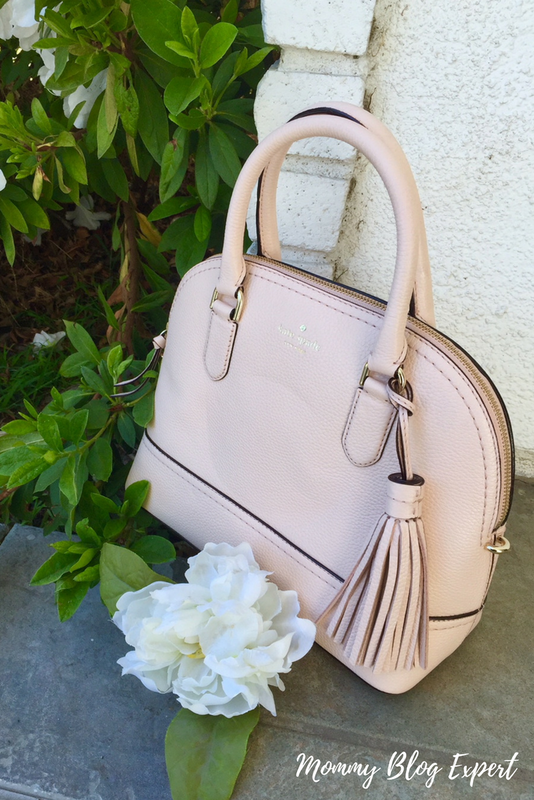 With a retail price of $359, this Kate Spade pebble leather light pink lined handbag with pockets and zipper top is both stylish and practical for busy women and moms constantly on the go. So versatile to dress up or down: easy to accessorize with this pretty generously sized not-to-big bag for everything from carpool runs and kids soccer games to going to the office and enjoying an evening on the town. Includes the beautiful leather tassel pictured as well as an optional detachable strap to convert this bag to a cross-body style for comfortable and convenient hands-free wearing. Enter to win this lovely designer bag by visiting MBE on Instagram and following the easy click and enter directions. FTC Disclosure: MommyBlogExpert and other influencers are co-hosting this contest and providing the prize. 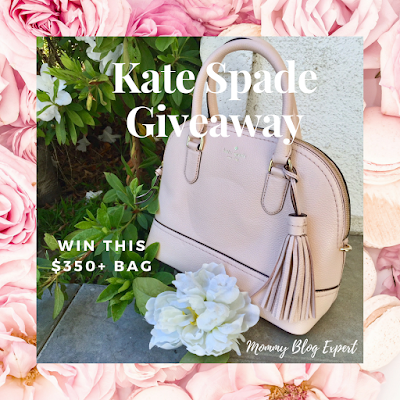 I am not receiving any payment or other compensation for this post and this giveaway is not associated in any way with either Instagram or Kate Spade. See complete FTC disclosure information that appears at the bottom of MommyBlogExpert's main page and at the bottom of every individual post on this blog, including this one.